PURE CRAZY TALK! 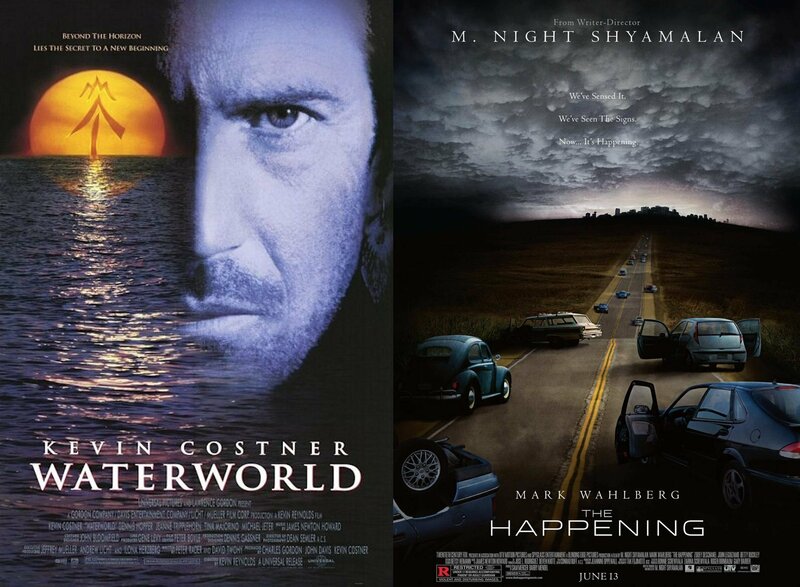 Those are the best words to describe this latest episode which combines together 2 infamously disatrous environmental disaster movies like peanut butter and jelly - Waterworld and The Happening! And we couldn't experience these cinema classics alone - so we also invited over our good friends Dan and Kody from The Dan and Kody Podcast! We give our brief reactions to both Baby Driver and Spiderman: Homecoming. Plus, we added on a brand new #MysterySnackChallenge as well! We discuss Kevin Costner's acting chops, gill makeup possibilities, Jeanne Tripplehorn, Dennis Hopper's villain trilogy, Sea-Doo explosions, drinking your own pee, Waterworld: A Live Sea War Spectacular, Air Bud, running away from air and trees, theme park ride ideas, Mark Wahlberg and much more! Like our podcast on Facebook and follow us on Twitter @MovieGeekCast! Subscribe and if you like us (like really like us), please leave us a positive rating and review on iTunes! We will love you until the end of time! You can also email us any questions, comments and Nicolas Cage remake ideas to moviegeekcast (at) gmail (dot) com! Thanks for listening!